In part one of Thorin’s CS:GO End of Year Awards 2014 I recognise the best players, teams, tournament and rivalry of the year. For each category, I outline my own criteria for how I judged the players and came to select the winner. In part one of Thorin’s CS:GO End of Year Awards 2014 I recognise the best players, teams, tournament and rivalry of the year. For each category, I outline my own criteria for how I judged the players and came to select the winner. As a general point of principle, I have included and considered only offline play for all of the categories. The most prestigious individual title is, of course, the Player of the Year. The winner of this award is the player who played the best, most impactful and most significant CS:GO of 2014. It’s easy to look at the last few months and see the incredible numbers kennyS has been putting up, but his whole year was one of excellent individual player. When he got his chance to return to Titan, in late April, it was clear his level had improved enough from his previous time in that team that he would be able to put up big performances, but the question was how they would impact the team’s success. Immediately we got our answer, as a new kennyS-focused Titan were able to put up good performances against NiP, the best team of the time, shortly after his arrival, and make a strong run to the final of Gfinity, in August. When Titan took their new line-up following the ‘French shuffle’, kenny continued to shine, powering the new look team to a title at Dreamhack Stockholm. KQLY’s ban meant kenny had to miss Dreamhack Winter, making the year a bust for him at the three majors, but he finished the year off in incredible fashion, seemingly playing 1v5 at the ESEA S17 LAN finals, at times, and going crazy for France in the ESEC offine finals. After starting 2014 in the slums of playing for the third best French team, kennyS delivered a solid seven months of elite level carry play. His line-ups lived and died by his performances and he rarely let them down. Sometimes his teams would lose due to other players faltering or the tactical victory going to the other side, but almost never because kennyS came with anything less than a stellar solo game. On the other side of things, every single big result for his teams came off the back of a kennyS masterpiece. The piece thrown away by VeryGames (now Titan) in early 2013 has become the best and most consistently high level CS:GO player in the world. NiP’s slump over the second half of the year, with the two majors being the only tournaments at which the team was relevant, meant that GeT_RiGhT’s best form seems as if it happened last year, not earlier in this one, such is the nature of memory. Nevertheless, NiP were the best team in the world over the first six months, all things considered, and their level of consistency and success, winning two significant international tournaments over the first half of the year, came as a result of GeT_RiGhT continuing to be the world’s best. During NiP’s miraculous ESL One Cologne, which resulted in their first major title, the best player in CS:GO was able to rouse his old form for a few maps here and there, helping to finish off C9 in the quarter-final, in a game NiP likely should have lost, and then help put rounds up against FNATIC in the final. 2014 was far from the dominant years of 2013 and 2012, when GeT_RiGhT stood alone at the top of the CS:GO mountain, only able to be reached by occasional godlike runs of form from the likes of shox, f0rest and Dosia. Instead, 2014 was a year of toil and difficulty in adapting to the new era of CS:GO teams and players. Dreamhack Winter was one of the worst tournaments of GeT_RiGhT’s career, so it is difficult to place him highly amongst the world’s best now, but for the first half of the year he was still the game’s best player. KRiMZ would never have been a million miles within reaching a spot as a candidate on a list like this up until October of this year, so the first three quarters of 2014. What changed that is the unlikely and unbelievable run of form the FNATIC man was able to display over a three tournament span from the FACEIT S2 LAN Finals to ESWC and on to the fragbite Masters S3 LAN Finals. Over these three international tournaments, all of which FNATIC won, KRiMZ was the best player in the world, the most consistent player in the world and the most dominant force in the game, all rolled into one. GuardiaN’s firing speed and penchant for hitting impossible AWP shots is as noteworthy as his wildly fluctuating consistency is. For rounds or halves he can look like the best AWPer in the world and one of the most dominant carry players, leading Na`Vi to number big wins over better teams, and then at other times he will shy away from the AWP entirely, look rattled and become just another player. When he has shined brightly, one cannot deny the impact GuardiaN has been able to have, ensuring Na`Vi have dominated regional tournaments and even had some good runs interntionally. Cast your minds back to early 2014 and Titan were still the best team in the world up until their failure at EMS One Katowice. shox was still a great player and producing excellent play, even if his level had fallen from the blistering late run of 2013 that had elevated Titan to their status at the top. Joining Epsilon in April, shox had some stand-out carry performances, but also seemed more focused on becoming a team-player and filling holes in his new, somewhat underpowered, team, as opposed to being the star leading them forwards. That team-first mentality seems to have followed shox over into LDLC and it feels like forever since we last saw a big offline 25 frag half for the talented Frenchman. The old shox may still be there lurking under the surface or indeed he may now have departed for good, he was, nevertheless, still a great player during the early part of the year and in glimpses as 2014 progressed onwards. When considering the entirety of 2014, olofm must be considered a candidate for this category. In early 2014, he was arguably the best player on the LGB team which reached the semi-final of EMS One Katowice, playing Virtus.pro closer than anyone else at that tournament, and had a rematch with the Poles in Denmark at Copenhagen Games. The break over the Summer, as LGB floundered with retirements and the inability to lock down a big sponsor, hurt his case for a consistently high level performance for the year. In late 2014, he was initially the most confusing player on the new FNATIC, playing fairly average CS, for his standard, in their first offline tournaments. At ESWC, fragbite Masters S3 LAN Finals and DHW, he was very much one of the best and most impactful FNATIC members. Few players have had as many performances spaced out over as many months of 2014, what hurts olofm is that his time in FNATIC has almost never seen him the best player in his own team. This category recognises the player that has either improved significantly over the course of the year or broken out entirely, establishing himself as a top player where before he may not have even been known to fans of the top level of the game. This victor here takes the award with relative ease, going from the fourth or fifth best player on a dark horse team (LGB) earlier in 2014 and then seemingly in the wilderness with no team over the Summer, through to becoming the best player in the entire world late in the year and dominating three straight international tournaments. KRiMZ’s rise was so out-of-nowhere that it truly deserves the often cliched adjective of meteoric. JW was always a star for FNATIC and fans took his online performances into account and attempted to raise his ranking further, but truthfully he never fit the mould of the superstar in 2013 or early 2014. When FNATIC lost, it was nearly always in part due to JW underperforming and not being able to deliver a true star level performance. When he got help, in the form of the two LGB boys (KRiMZ and olofm), it was JW who initially showed some of the best form in the new team, as the change seemed to put him in position to shine. At ESL One Cologne he helped his side reach the final and at Dreamhack Stockholm he was the only one putting up any kind of fight as Titan wrecked them in shocking fashion. When KRiMZ elevated his own level to become the best player in CS:GO, it allowed JW to fully function as the elite wildcard player in the game. Moving where and when he pleased, JW could exploit that impulsive and unpredictable playing style to create pick-offs, multi-frag situations and amazing shots as his game dictated it. JW has now established himself as a true superstar in a fashion he had been unable to previously in his career. Many forget that Virtus.pro, or ESC as they were called back then, had this very same line-up in late 2013 and flunked out of the first CS:GO major (Dreamhack Winter) with it in the group stage. One of the primary reasons the team were able to climb numerous levels and become champions at EMS One Katowice was the rise of byali as one of the best and most explosive rifle players in the game. The Polish player went from one of many average level pro players to someone who could put his stamp on a round with three incredible kills and leave the enemy torn apart. iBUYPOWER were considered a joke by the community at the end of 2013, with their DHW failure fresh in memory, but 2014 ends with the North American team having won two ESEA LANs, both times defeating top European sides, and making the final of FACEIT S2 LAN Finals. In all cases, it was the much improved offline AWPing of Skadoodle that brought the team the power player they needed to go head-to-head with other elite players and rack up numbers against the world’s best teams. As Skadoodle goes, so iBP goes. s1mple may have exploded into HellRaisers to leave us all forgetting that Adren ever existed, but the young Ukrainian has not had enough significant international tournaments to truly come close to winning this award. His potential seems limitless and his confidence in his skills seems resolute, but we have only seen glimpses of what he is capable of against the elite teams in CS:GO. Impressive domestically, but lacking accomplishments and still not ready to join the category of the true star players. Rifle play, most typically the usage of the AK-47 and the colt, are the core component of high level CS:GO play. This category recognises those whose play showed mastery of those weapons and thus played a large part in making up the bread-and-butter success of their teams, as CS will forever be a rifle-dominated game. GeT_RiGhT may pick up the autosniper from time to time, but he is known as the master of the rifles. His strong first half of 2014 ensured that nobody else on this list could surpass him, no matter how strong their individual performances at one or two tournaments may have been or their run at the end of the year. Emerging as the best player in the changed FNATIC line-up, those marvelous months of October and November were a masterclass in dominant rifle play from KRiMZ. Locking down CT sides and bombsites, his spray was always on point and efficient. The FNATIC man was perhaps the most effective player of the year with the colt during some of those tournaments, reaching a level few others could with the weapon. byali’s vicious AK usage was a key component of the Virtus.plow effect of over-running teams on the T side and rampaging through any defense placed before them. His technique is far less consistent than the names who are above him on this list, but his skill and streaky form mean he can be one of the most volatile players with the rifles. One of the few true masters in CS:GO, 2014 still had enough classic shox moments to remind us all that he is still one of the greats. Since Epsilon onwards, he has shown a bizarre tendency to try his hand at AWPing much too often, but when he has a rifle in his hands and the round is half-way done, shox is still a special player, or can be. As much as rifle usage will always set the baseline for how good a team can be, and some teams still run five man rifle units, a powerful AWPer can change the complexion of a match by himself. This category looks at those rare players whose proficiency with the sniper rifle means they can carry a game entirely and lead their team over almost any opposition. This category was an easy win for the French maestro. GuardiaN may be able to fire faster, but he cannot fire as consistently. A plyer like Skadoodle or olofm might be able to conjure a half that compares to kenny’s sniping, but kennyS can deliver such halves in every single Bo3 and multiple times in every tournament. Others may choose to AWP when they feel their form is hot with it or the moment seems expedient tactically, but kenny is ready to take up the weapon every single time he or someone on his team has the money for it. In a game which had previously been dominated by riflers (GeT_RiGhT, f0rest, shox, Dosia etc. ), kennyS has gone from more than just one of the best AWPers, but the best player, while still using the AWP as his primary weapon of choice. kennyS was the best player in the world and the most consistent AWPer, but GuardiaN was the streakiest and sometimes most exciting sniper in the world. Hitting shots which seemed destined to be immediately loaded into video editing software, the Na`Vi man could take over a map here and there which Na`Vi otherwise had no right in winning. Back in LGB, olofm was known for his fearsome AWPing and he has at times brought it out for halves in FNATIC. It seems clear that olof is not going to be the dominant player in FNATIC, or even the primary AWPer, as long as JW is around, but he was still a solid mention for this category over 2014. The North American phenom established himself as the best player over the year by virtue of the raw impact he could have on a game. Miles ahead of any other North American AWPer, there were even halves or games where Skadoodle could compete with and best the elite snipers from Europe. Outside of his AWPing, there is still room for improvement, but as a sniper, Skadoodle has set his status as a premiere player with the weapon. 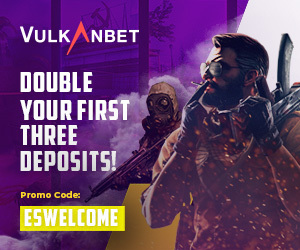 Each half of a CS game begins with a pistol round and the ability to pick up kills on these rounds often sets the tone of a game for a number of the top teams out there. This category recognises the excellence of the best with some of the least expensive weapons in CS:GO. While shox may have been free-falling from star status in some of the other categories as 2014 wore on, he has always been one of the elite pistol round players. Something in the mixture of his steely composure, his precision accuracy and his proficiency in the middle of the round means that shox is always a threat to turn a pistol round in his team’s favour or break open one which is far from decided. With memories of the deciding map (overpass) at Dreamhack Winter still fresh in mind, as f0rest’s USP kills thrilled the home crowd, it is easy to see why he would feature in a category such as this. Pistol rounds have been a core strength of f0rest’s game going back into CS 1.6, where he could have filled an entire movie just on the basis of his CT pistol round play on inferno at the A bombsite. In CS:GO, f0rest has always shined in this air, particularly since his long-range aim and first bullet headshot accuracy has never been less than spectacular in what he is capable of. 2014 was a harsh year for f0rest, contrasted against the previous two, but he remains one of the world’s best with the cheap guns. When you fail deep in tournaments as often as Team Dignitas has, still yet to make a single international offline final, it is going to hamper your best players’ ability to win individual awards, as they are not in position to be effective or impactful during the biggest moments of the year. Nevertheless, one can look at dupreeh’s pistol round play and credit the Dane with some very solid performances all year long and see how he played a key role in getting Dignitas rolling on those CT sides and front-running as they seemingly have always needed to. Pressure affects even the best individual players to the extent that while a name like f0rest might be magic in the middle or early portion of a round, his level can drop off to be matched by significantly less skilled during the difficult 1vX situations which arise late in a round. This category looks at the players who seemingly always come up with the goods under the most pressure imaginable. Others may get them to that point in a game, but they close the deal. Flusha was the best player in FNATIC for the first three months or so of the year and certainly should not be blamed for the team’s form dropping off a cliff. When the LGB men came into the line-up and results went up and up, it was easy to see the impact the new recruits had had on the game, but also miss that having more helped opened Flusha open to have more impact on rounds. As a consistent performer, Flusha is famed for his 1vX exploits and the ability to keep FNATIC’s round count ticking up towards that magical number 16. If you’d asked me in 2013, I’d have said this is a category GeT_RiGhT would surely be the king of until he retired from competitive play, such was the impossibly high standard he set as a clutch round master in the 15 months or so of CS:GO competitive play. In 2014, the clutch side of things was an area GTR could still contribute in, even as his overall individual game became less impactful. At the end of the year, though, he did not have the consistency or number of big clutch round wins of impact to match Flusha’s year. The headshots might decide the duels and the kills establish positional advantages for the teams, but it is the men behind the teams, calling the tactics and shaping the strategical side of the game, who are the true puppet-masters. This award recognises the best minds in the game and those whose impact truly decided their team’s fates. This selection may well shock some readers, as Ex6TenZ’s teams had zero impact on all three of the majors of 2014. Consider, however, that Ex6TenZ was the tactical mind behind three differently set-up CS:GO line-ups and their varying successes over the entire year. For the first four months, he led the line-up (with shox) which was the best in the world for the first few months and able to win the Dreamhack CS:GO Invitational in February. With shox departing, Titan brought in kennyS and Ex6TenZ restructured the team to embrace the power AWPing of his returned prodigal sniping son. That Titan line-up was able to show strong performances against NiP at StarSeries IX and Dreamhack Summer, as well as making a run all the way to the final of the stacked Gfinity G3 event. After the ‘French shuffle’, Ex6TenZ had to give up a little star power to mould another kind of team, with back-up AWPer KQLY and entry specialist apEX joining the squad. This team was clearly more one-dimensional in their approach, but they did find their own successes, neverthless. Winning their first offline tournament at Dreamhack Stockholm, beating FNATIC and LDLC in straight 2:0 series in the play-offs, Titan showed what their line-up was capable of on their best day. Defeating LDLC at the French ESWC qualifier was impressive, as that LDLC team would very rarely lose series to anything but top level play in 2014. Finally, at the ESEA S17 LAN Finals, Titan were able to come as close to beating FNATIC as any team has since the Swedish team reached the number one spot in the world. 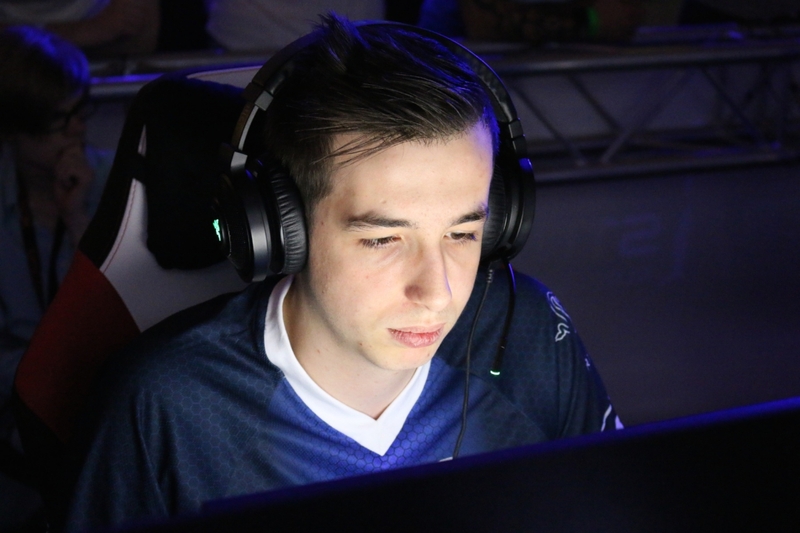 kennyS becoming the best player in the world has helped the latter two Titan line-ups, there’s no denying that, but Ex6TenZ both embraced putting kennyS in position to exert maximum impact on the game and also led a line-up without him to a minor success earlier on. That Titan have always showed excellent form on the terrorist side of maps, and continue to, is a testament to the ability of Ex6TenZ to find a style which works for his team and continue to keep up with the evolving meta-game. pronax’s dynamic style of calling on both sides was a key factor in FNATIC shocking the world to win last year’s Dreamhack Winter, but has been present for all of 2014. Earlier in the year, it could still keep FNATIC close to getting wins off better teams, but the line-up lacked for firepower or the appropriate map pool strengths to ever be capable of another top two finish. When his team acquired the ex-LGB talents, his leadership was able to immediately put them in position to finish top four at every event. It was the development of KRiMZ and JW which truly pushed FNATIC through to their titles and run of dominance in 2014, so I cannot credit pronax entirely and thus he finishes runner-up in this category. One of the world’s best leaders, but not quite the best. LDLC may have only won one tournament once they got their best line-up, but their run of never placing outside of the top four has been most impressive from a consistency stand-point. Happy cannot be credit for all of that, being as he wasn’t even the in-game leader during the first portion of it, but he has clearly shown some good decision-making during the teams run at the last three tournaments they have played in (ESWC, fragbite Masters S3 and DHW). Against teams not called FNATIC, LDLC have been able to look sharp and their CT set-ups show a coherent reading of the game. While LDLC’s inability to win a lot of normal gun rounds against the world’s best teams must count against Happy, being as it is a primary job of the in-game leader, one must begrudgingly pass some credit over for being able to find as many save/half-buy round victries as his LDLC team have been able to conjure up. More importantly, when Happy led the LDLC of earlier in 2014, that was a team which clearly could not match the elite sides in terms of firepower or star names, yet had a set style which made them effective and able to deliver some very solid performances. For all the great players in CS:GO, it is the strength of the team that determines how many titles one leaves the year with in the trophy cabinet. These are the best teams of 2014 and the ones who stood above all others. I can already sense the outrage from the NiP faithful, but one cannot merely look at one criterion, such as number of titles, to decide the best team. Other factors which must be considered are consistency, which often translates into high finishes outside of victory as well as runs of form, the significance of the titles won and the level of dominance in victory. Firstly, in terms of number of titles won, FNATIC were able to secure five offline tournament victories with this line-up. StarSeries cannot be counted too significantly, with no other elite sides in attendance, but the other four all featured a varying amount of top sides contesting them, with FACEIT, ESWC and fbM all featuring the second best team in the world in attendance (LDLC). In contrast, NiP were only able to win four titles and one of those was IronGaming, which was even worse for competition than fnatics StarSeries win. In terms of consistency, FNATIC stand head and shoulders above anyone else in 2014. The line-up was only put together at the end of June, yet it managed to place top four in seven straight offline tournaments and in eight out of nine tournaments played, total. In those eight top four finishes, six were runs to the final at the least. NiP managed a streak of six tournaments in the top four, from the beginning of the year, but one of those events was the ESPORTSM Swedish only tournament, so it’s hard to count it. Over the entirety of 2014, NiP managed to place top four eight times total, but with one of those finishes being the small IronGaming LAN, which really should be discounted in a discussion such as this one. FNATIC not only achieved more consistency, but put together a run of consistent form that is the second best in the history of CS:GO, second only to NiP’s original run of form from the beginning of the game. Looking at the significance of the tournaments won, NiP win out in as much as they won a major title, but the other two titles of significance (CPH Games and DHS) were not more important than FACEIT S2, ESWC or fragbite Masters. On the whole, they were at a similar level of significance. So, for this criterion, NiP has the best tournament win, but FNATIC has more wins and at more noteworthy events, on the whole. Finally, in terms of dominance, NiP loses out badly to FNATIC. FNATIC’s overall run of event titles saw them win three straight at international tournaments, each time defeating elite level teams (LDLC and/or Virtus.pro). In those wins, FNATIC were a dominant force and were never taken close to elimination, setting the very meta for how the game was played over the latter quarter of the year. NiP’s event victories were either close (Copenhagen Games), solid (Dreamhack Summer) or very unconvincing (ESL One Cologne). The latter, being as it being a major is the one ace NiP has over FNATIC, really spoils the case for NiP, as they won the biggest title but in the least convincing fashion possible, barely edging out wins in series they were often close to losing. That can hardly be put against the dominant fashion of FNATIC winning two finals which were Bo5 and rolling ESWC with only a single map loss, in the group stage. Significance of events won is the only area in which NiP can be at all argued to have been the better team, otherwise each of the criteria goes over to FNATIC either by a small margin or heavily, such as in the case of dominance. I have not included NiP’s DHW result here, as it was with a different line-up, but even if one includes it, it was not a title and it still does not edge the other factors considered over to NiP’s side. NiP were one of the best teams of the year, with some fantastic results, but they were beaten to the finish line by the late dominance of FNATIC. For the first year in CS:GO history, NiP were not the best team of the year. The Poles secured a major and got a big win at Gfinity G3, both times with the Virtus.plow in full effect. On their day they were one of the scariest teams in the world, their day just either very rarely every arrived or lasted long enough to grab the crown. LDLC entered this category off the back off an impressive run of form of their own, which is still ongoing, as they finished top four in all six of their offline events with their new line-up. The latter resulted in them winning the third major of the year, finally giving themselves the world championship level title that they needed to begin crawling back into the race against FNATIC. The previous LDLC line-up was solid enough, winning Dreamhack Valencia and finishing top four in Cologne. There were many great matches, but the repeated battles between teams help set the story-lines of the year. This category selects the teams whose fights with each other really set the tone for the year and their successes. These two teams won five significant international tournament titles between them, with NiP taking down three and VP two. In the EMS One Katowice final Virtus.pro were a team possessed, ravaging a very good NiP team on the Poles’ best maps (inferno and mirage). NiP got their revenge at the next event, winning the Copenhagen Games final in three maps, the decider being on dust2. A similar story played out when the two met at Starseries IX, as the series again when three maps and NiP again took a key dust2 game. In each series, NiP’s improvement on inferno was the key factor. EAEA S16 was a poor tournament for both teams, but VP evened up the series count for the year, this time the mirage win was theirs. The two teams would not meet again for the rest of 2014, until that fateful DHW semi-final. VP were at map point on the opening nuke but lost it in overtime. Rolling over cache, the decider was set on inferno. This time, NiP would not only win a key inferno, they did it in emphatic fashion to reach their third major final of the year. Every single time these two teams met, it was far from certain which would win the series. The series went back-and-forth in terms of who had the edge and the map pools of both played out beautifully to ensure all but one of the Bo3 was a full three map affair, with that lone exception being the first, when NiP famously chose to leave in the killer mirage. Whichever team won inferno in their meetings won the series. Two great teams, a good spread of maps, many meetings and numerous great matches. Without a doubt the rivalry of the year. What made this rivalry unique is that it took until November for the two teams to actually meet in an offline series. FNATIC had been a top team since their ESL One Cologne runner-up finish and LDLC were the hot new line-up who many tipped to potentially become the worlds best, yet FNATIC FACE S2 LAN Finals to ensure we wouldn’t get to see how they matched up offline until ESWC. When that fateful meeting did occur in the ESWC final, it was quite a letdown, as FNATIC ran all over the French side. At the fragbite Masters final the Frenchmen came in from the upper bracket but were trampled in a Bo5, this time. Finally, at Dreamhack Winter, we seemed to have gotten the truly competitive series we had all been yearning for, as both teams had now clearly established themselves, FNATIC with titles and LDLC with consistency, as by far the two best teams in the world. LDLC won the first map impressively and FNATIC came back with a big second map win. The third map could have been the stuff of legend, but the olofm boost, FNATIC’s controversial win and then the forfeit which ensured LDLC went through spoiled the series. In the end, this rivalry was more who would be the world’s best team, the anticipation of what would happen when they met and finally, the battle to see who would win DHW. Hopefully, this rivalry continues on into 2014 and we finally get some truly great games out of it, comparable to what NiP and Virtus.pro were able to deliver with frequency. In part two of my End of the Year Awards, I’ll decide the best games, series, performances and tournaments.